The Professional Development Committee continues its ongoing series featuring TOCA Gardner award winners. Please briefly describe the winning entry. This image served as the lead photo for a feature story on a golf course superintendent who had suffered a serious head injury while on the job, his long road to recovery and the impact the injury had on his life and career. Read more about this winning entry. We asked Irene Sweeney, marketing director, GIE Media, Inc., the following questions about the GIE Horticultural Group 2018 Media Kit. What were your main objectives in developing this project? Our main objective in the combined media kit was highlighting the individual strength of each title, while also conveying the power a publication group that spans the entire horticulture industry (from breeder, to grower, to retailer) offers to both readers and advertisers. Find out what Irene Sweeney made this entry stand out. 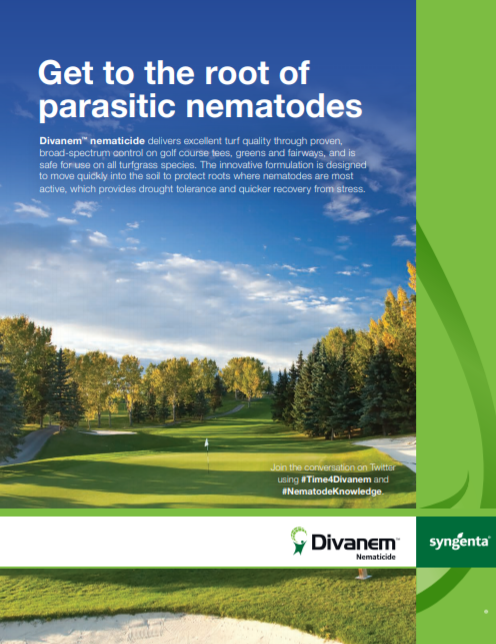 We asked Mark LaFleur, communications lead for Turf and Ornamental, Syngenta, the following questions about the Divanem nematicide launch. The approach we take to launching products is about more than selling a product. It is about providing a solution to a problem. We could have simply developed a print ad, sell sheet, product page and called it a day. 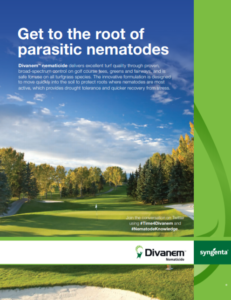 But as the industry has transitioned cultural practices that are favorable to nematodes, we realized there was an information gap. 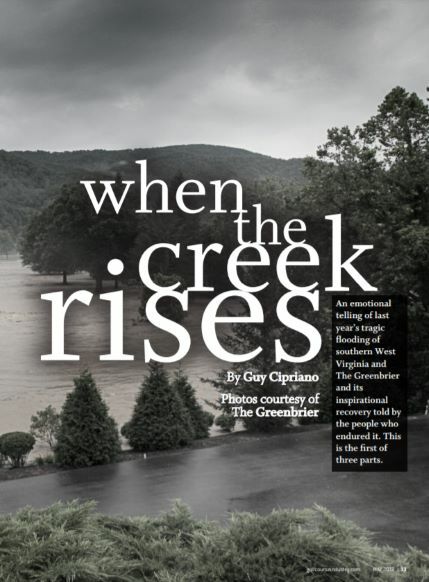 “When the creek rises” was a three-part series about the historic West Virginia flood of 2016 and the ensuing inspirational rebuild of the golf courses at The Greenbrier, a historic resort in the southern part of the state. Read more about Guy Cipriano's series on this historic comeback. Swanson Russell had a few main objectives with this project; to drive awareness of the innovative products, service and expertise that Rain Bird can offer and position Rain Bird as a partner for golf course superintendents’ needs. Find out how this creative project earned them a Gardner Award. Learn how EPIC Creative, on behalf of their client RYAN, launched an unofficial new holiday called "National" Aerate Your Lawn Day. We asked Lyndsey Newnam, G&S Business Communications vice president, the following questions about her project, Divanem Nematicidie Launch. G&S Business Communications (G&S) and Martin Williams (MW) were tasked with developing an integrated launch campaign for Divanem in early 2017 that targeted golf course superintendents. Read more about the launch which included print and digital advertising, news releases, media tour, targeted e-mail communications, new webpage, soil sampling kits, social media support and a pay-per-click (PPC) campaign. 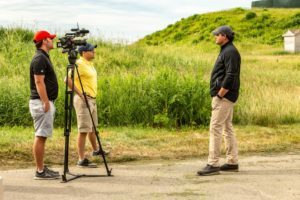 Merath say, "the work that went into finding and capturing the stories with honesty and respect sets us apart within the industry for not only this project but for all the work we do at GCSAA TV." 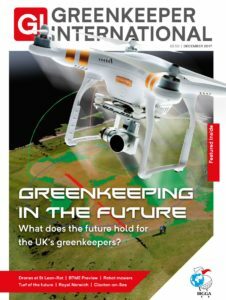 The Drones feature was part of a greenkeeping in the future themed edition of Greenkeeper International in which we gathered a series of articles demonstrating how the greenkeeping industry is embracing new technology. Find out what turned into an award winning design. Many B2B publishing sites have blogs, but they are not always updated regularly. The LM staff committed to posting at least weekly on the LM Blog several years ago, and we lined up our contributors, just like we would do for a print column or department. The result is a well-executed section of our website that readers appreciate. Find out what set this blog apart in our judges' eyes. 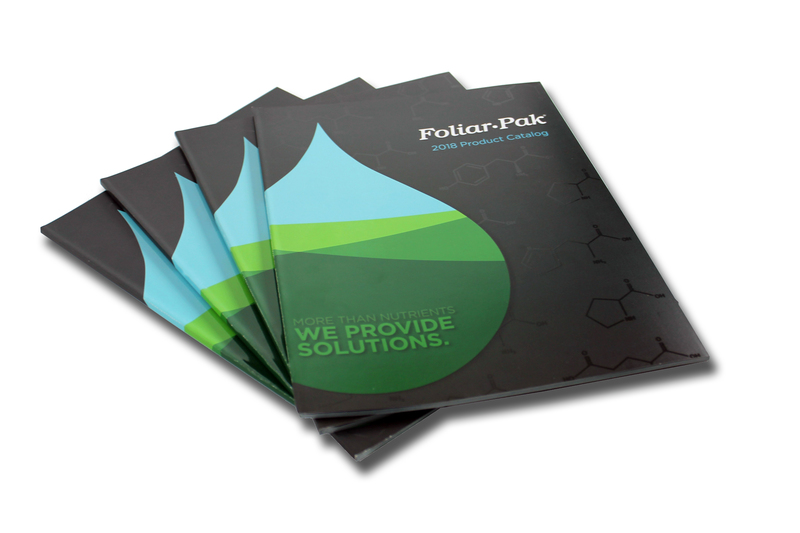 Xylem Marketing was tasked to create a catalog that promoted each product in the Foliar-Pak line while highlighting the new products and updated formulations. The company had recently reformulated several products and consolidated two branded product lines into one. This catalog was an opportunity to tell that story, while uniting the product users to rally behind one brand. 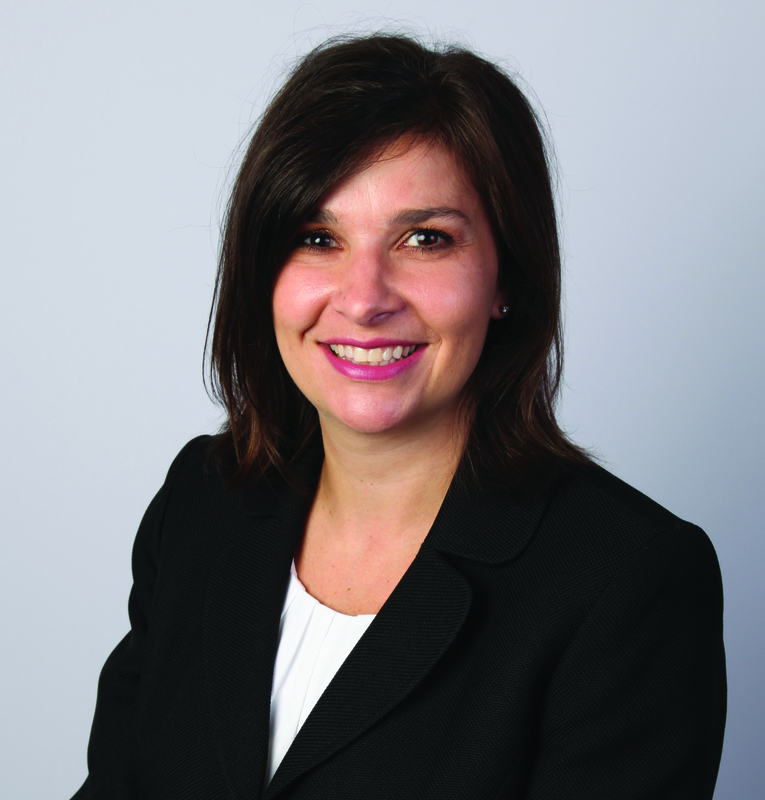 We asked Dawn Rigby, Managing Director, Xylem Marketing, about their Foliar Pak 2018 award-winning entry. (Other members of her team were Justin Thiry, Britney Riggs, Courtney Mullen, Victoria Carter, Jess Simpson, and Storm Timberlake.) Read on. 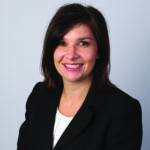 We asked Lyndsey Newnam, Account Director at G&S Business Communications, questions about the Syngenta WeevilTrak Blog. Learn more about her motivation, style and the award-winning project. Please briefly describe your winning project. The WeevilTrakSM blog is part of WeevilTrak, an interactive website and program from Syngenta that helps golf course superintendents track the activity of annual bluegrass weevils (ABW). Added to the website in 2015, the blog provides real-time updates about ABW from the researchers who support the program. In 2016, G&S Business Communications (G&S) worked with Syngenta to improve the user experience and increase readership of the blog, while continuing to provide relevant and timely content. Two key parts of the update included making the blog mobile responsive and removing some of the subscription requirements to access the blog. Over the course of ABW season (March through September), the researchers wrote 34 blog entries covering topics ranging from weather patterns, adult emergence reports, treatment options and scouting advice. Each year WeevilTrak subscribers are surveyed to gauge their experience with the program and identify areas for improvement. By reviewing the survey responses in addition to the website and blog metrics, we were able to identify clear ways to improve the blog and increase engagement. In 2016, the WeevilTrak blog experienced a 217% increase in unique visitors over 2015 and a 130% increase in page views over the previous year. Additionally, the average time spent on blog pages increased 110% and the bounce rate decreased by 80%, meaning more people found the blog and stayed to read the content. At G&S, we like to start every project with an informed point of view that aligns with client business objectives. We have partnered with Syngenta to support the WeevilTrak program for several years and worked with them to originally develop the blog in 2015, so we have a deep understanding of their market and target audience. By basing the blog updates on real feedback from users via the annual subscriber survey, we knew exactly what the target audience wanted and used that information drive engagement. Additionally, our agency digital experts worked closely with the internet marketing team at Syngenta to set up robust online tracking and reviewed the blog metrics closely. This helped us understand the online behavior of the target audience and make informed decisions to drive our communications strategy. I was assigned this story on our editorial calendar for July 2016. The topic simply said “rooftop gardens” so I had free reign on what angle I wanted to follow. I’m fascinated by the concept of rooftop gardens in general and enjoy the thought of city dwellers getting these little bits of oasis to themselves without having to go to a park if they don’t want to. My main goal was to write an article that broke down the technical aspects of rooftop gardens and the challenges designers will face installing them. A lot of the time people see beautiful things but they don’t think about all the work that goes on to get it to that stage. You see a dancer performing effortlessly and you think you can do that yourself and likewise homeowners sometimes see pictures rooftop gardens and think anyone can do that. 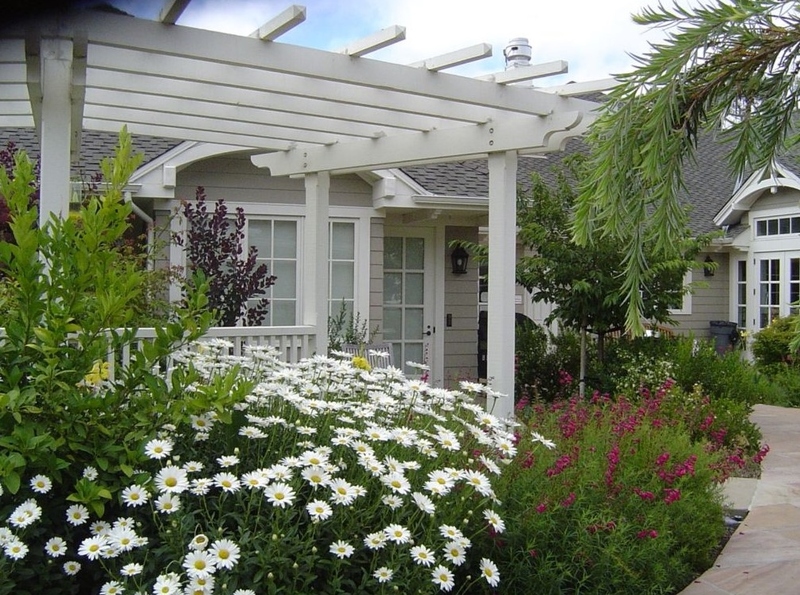 This article is a reality check for any consumers who happen to read it -- it has practical advice for any landscapers who are looking into adding rooftop gardens as a service. My own lack of knowledge about rooftop gardens beyond the fact that they’ve become very popular in cities. Because I didn’t know a whole lot about them at the time, the majority of my questions were to satiate my own curiosity about the inner workings of this process. I think the flow of the story is very satisfying because it moves from one point to the next, naturally answering the next question that is forming in your head about the design and installation process. The pictures my sources provided also helped show the variety of opportunities and beautiful spaces you can create by overcoming these challenges. We asked Karl Hansell*, Greenkeeper International, BIGGA, Ltd. the following questions about his winning entry. The piece I wrote related to a BIGGA member who had formerly been a soldier, serving on the front line in Afghanistan. David Sneddon lost his right leg after being shot in a Taliban ambush and endured years of painful operations, while battling depression. But on the golf course he finally found peace of mind. With the assistance of the On Course Foundation, David was able to find employment at Kingsfield Golf Centre, near Edinburgh. He has become a valued member of the greenkeeping team, with machines adapted for his use, despite the prosthetic leg he must wear. I told the story of David’s hardest fight, which would only begin after he left the battlefield behind. The On Course Foundation is the only dedicated Services golf charity in the UK and we intended to bring attention to their hard work through the case of David. Greenkeepers so often decry their hard working conditions, and take for granted that they work in some of the most beautiful landscapes anywhere in the world. I also wanted BIGGA members to stop and think ‘Actually, my life isn’t so bad’. There’s a sentence that sums up what I was hoping to achieve in this feature: For David, the bullet that shattered his right leg brought to an end one part of his life. But anther journey began and in the dark, painful years since, he has found relief and peace through greenkeeping. When you spend so much of your working life discussing turf diseases, grass species and such, I was able to flex my writing muscles with an old-fashioned human interest feature. I intended to convey the fear and panic that David was going through in the moments after he was shot. I wanted people to read the first lines and to be shocked, confused, to have to re-read them just to check they had read it correctly. I wanted them to read the introduction and be uncomfortable, thinking ‘Hang on, this is a bit different’, and that’s also why the headline is so bold and intentionally shocking. We work in an industry that is soft and privileged. Sport is a place we go to relax and escape from the ongoing worries of life. So for that peace to be so savagely interrupted in such a bold way, I think really hit home with the judges. This was a brave feature – not brave in the way that David Sneddon shrugged off his injury to save his wounded colleagues, and then overcame years of pain and suffering – but brave in that it pulled no punches in telling his story. This was hard-hitting, but with a purpose that meant it had a constructive aim, and I think the judges appreciated that approach. 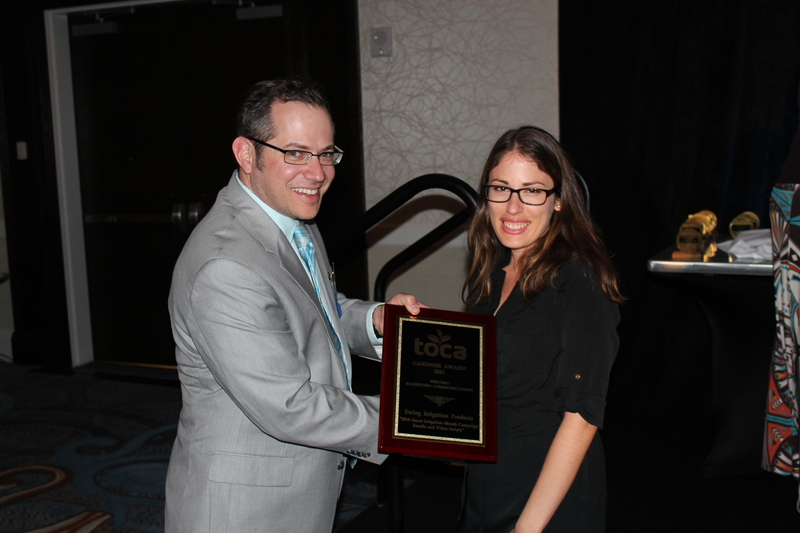 *Karl attended the 2017 TOCA meeting in Tampa, Florida., on behalf of BIGGA, through a partial grant from the TOCA Foundation. Our August 2016 cover story featured a landscaper with an extremely captivating story. Sotha Chea, a Cambodian refugee, escaped the Khmer Rouge as a young man, and without knowing English, he was able to land a job at Swingle Lawn, Tree & Landscape Care in Denver. More than 30 years later, he’s now a highly respected foreman with the company, and is well known for the displays he works on around Denver. After reading this great story written by our managing editor Kate Spirgen, I wanted to make a bold statement with the centerspread. We get interesting stories all the time, but Sotha’s is above the rest. With the help of a great freelance photographer, Kim Cook, we got a little unconventional and actually got Sotha up into the trees. The story and the photography. As soon as Kim’s photos came back to me, I knew this would be a simple case of getting out of the way and letting the photographs tell the story. Again, the story and the photos. I had the easiest job in the world for this one: Just get out of the way of good storytelling. 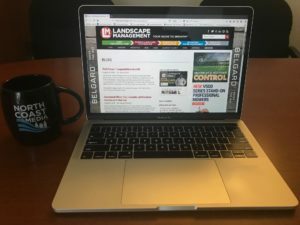 Lawn & Landscape has always done a good job of having a strong balance of business news and the human element. And when you’ve got a man like Sotha Chea, who literally used the skills that saved his life to become a real talent in our industry … well, who wouldn’t want to sit down and read that? 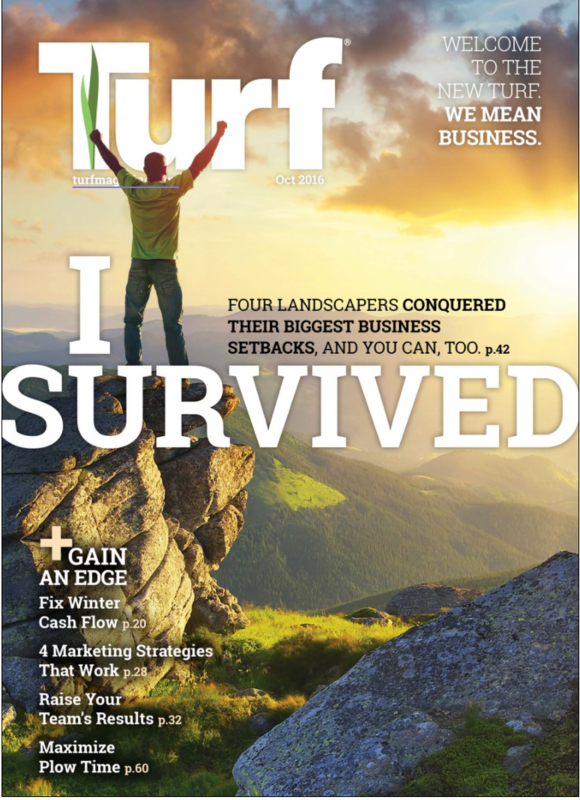 This issue involved a special research and reporting project where I sought out readers who had suffered major setbacks in business and successfully came back from them. The research helped confirm how readers cope with issues like this. This project was near and dear to me as a writer and reporter because I learned so much from the people I interviewed and I knew their lessons learned would help readers. According to research I found, only 56 percent of agriculture businesses and 55 percent of service businesses survive after their first four years in business. We wanted to showcase stories of businesses that survived some of the worst setbacks to help readers realize how they can do this as well. After all, those who realize setbacks are simply part of business usually find a way to thrive, while those who dwell on problems routinely falter. I was extremely inspired interviewing the four landscapers featured in the main story. I don’t know what impressed me more: how honest and open they were about their stories, how incredibly courageous they were in fighting their fears or how unwavering their positivity was despite the setbacks they endured. Their stories moved me, and I wanted to share them to encourage readers. Please tell us what you think stood out in your winning entry. The very personal, open and honest stories readers shared with me about their business setbacks and how they came back strong. One business owner lost a client that made up a majority of his business, one survived a partnership gone wrong, one lost a loved one and folded his business as a result of grief and then reopened it later, and the fourth business owner nearly lost his home as result of poor business finances. Five guys sitting around a table isn’t an exciting, grabbing image for the cover. So we had to get creative with the cover concept. I sketched out an image of a stressed out superintendent sitting in his office with a shadowy figure behind him, reaching out to him. I took a photo of it and texted it to our designer, Pete Seltzer (he lives in Ohio, I’m in Kansas) and asked him if he thought an illustration like this would work for the cover, if we found the right artist. He liked the idea and went on the hunt for the perfect artist. 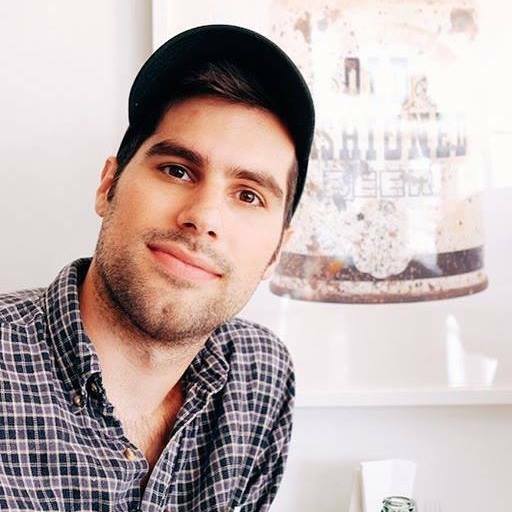 He found James Bennett (JamesBennettArt.com), a talented artist who has done covers for Sports Illustrated, Golf Digest and Mad magazine, among others. When the image came back from James, I knew right away that we had something special. People do judge books by their covers. Every month I want Golfdom to have the best, most eye-catching cover in the industry. My concern is always this: if we have a boring cover, people won’t be compelled to open the magazine and read it. What’s the point in doing all that work on the content inside the magazine if we don’t compel the reader to open the magazine as soon as he/she gets it? I wrote the story, it was done, I thought it was a solid Q&A. But without the right cover image, we risk the reader setting the magazine in the “to read later” pile on the desk… and they may never come back to the magazine again. So my main objective — as it is every month with our cover — was to have a cover that made the reader want to open the magazine as soon as he or she received it. 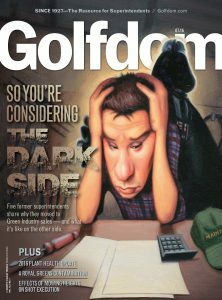 I thought readers would enjoy the popular culture reference of Golfdom tipping its cap to the dark side. The cover was 100% original… it was not a stock art image, or some cover that relied on words in funky fonts to spell out for readers what was inside. It was a cover that we imagined, then commissioned, hiring a “big deal” artist to do the artwork. I think when our readers see something like that, it makes them take notice that Golfdom isn’t messing around… we want their time and attention, and we’re willing to make significant investments in order to earn their time and attention. All credit goes to Bennett, the artist, and Seltzer, the designer, for taking my lousy sketch and turning it into a real work of art. Our Gardner Award Winning project “Syngenta Welcomes Back Golf” was a multimedia blog covering the return of the sport of golf to the Olympics after over 100 years. The blog included written posts, photos, podcasts and videos. We wanted to cover the history of golf in the Olympics, the current state of the golf market in Brazil (from both the player and superintendent perspective), the design, building and maintenance of the course, and of course the competition for Men’s and Women’s medals. It was such a multi-faceted project that we wanted it to take the form of a documentary series more than a traditional written blog with photos. I believe we succeeded in that regard. We wanted to put golf’s return to the Olympics in the proper historical perspective by looking back at the last time golf was an Olympic sport in 1904. We traveled to St. Louis and filmed a video at Glen Echo Country Club with longtime TurfNet member Joe Wachter. Golf is taken for granted in the US, but has very little participation and history in Brazil so we wanted to look at as many aspects of the game as possible in the context of current day Brazil. Since this was being produced at TurfNet we knew it had to include the basics of course design, maintenance and volunteer tournament preparation. 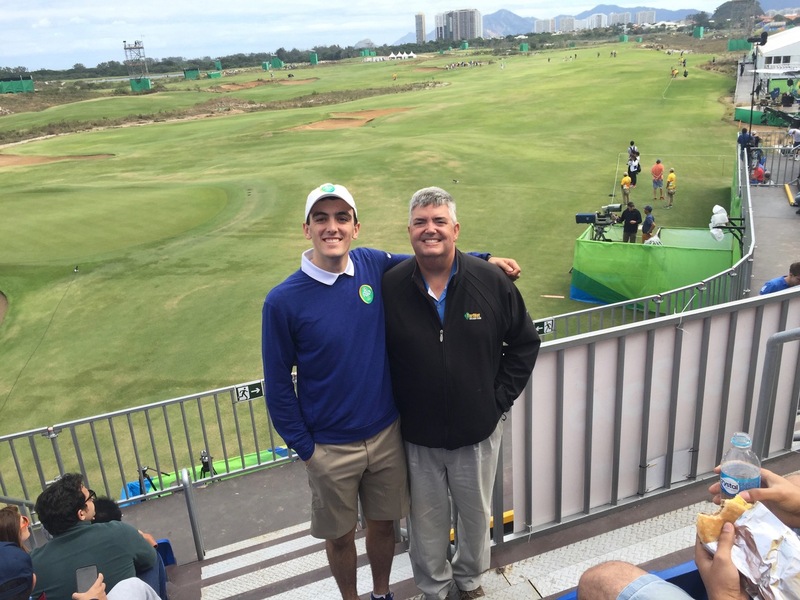 We were likely the only turf media on the ground in Rio, so we wanted to present enough information that the golf industry back home would want to know while watching the competition. I wasn’t sure exactly what I would cover once I got to Rio, so we were careful to create enough background coverage in advance of my arrival that the blog put golf in Brazil and the Olympics in the proper context. We did this primarily through the Glen Echo Country Club video mentioned above and through podcasts on the competitors (Golfweek’s Alex Micelli), the architecture of the course (Brad Klein), and our interview with TurfNet member and Brazil native Rick Holanda. Rick described life as a superintendent in a country with so few golf courses. We were in Rio for several days before the start of the Olympic golf competition. I was always on the lookout for interesting stories to tell about the Games in general or about golf in particular. At the field hockey/rugby venue, they had an introduction to golf demonstration area using oversized kids clubs. I took photos of the area and interviewed a newcomer to the game. Jon Kiger, right, with his son David at the Rio Olympics golf tournament. 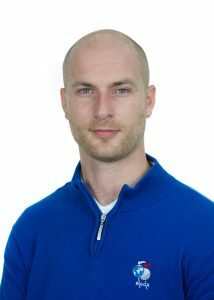 My son David was working hospitality for NBC and arrived a week before the opening ceremonies. The only venue they were allowed to see up close, as part of their security briefing/orientation, was the Olympic Golf Course. He took several photos of the advance preparation and we presented these exclusively on TurfNet. I made contact with two Olympic Golf Course maintenance volunteers from Ireland (Eamonn McCarthy and Damien Colement) and met up with them in Rio. We did interviews with them in advance of their arrival in Rio and followed up with them about their experiences once there. We wanted to cover as many aspects of golf’s return to the Olympics as possible so that anyone visiting the blog could learn the whole story of this historic event in our industry. So many things stand out about this project but first and foremost it was our sponsor Syngenta’s vision for the concept of the blog. Without their interest in having TurfNet cover Olympic Golf for the industry, I would have been just another spectator at the event. I’m not sure they or we understood all that would go into producing it or the special content that would result. I took advantage of every opportunity to report on golf’s return to the Olympics. It was the most intense yet satisfying project in my 30+ year career. From a logistics standpoint, WIFI and internet weren’t available to me during the day so it very much felt like an “old school/pre-cell phone” project. I would leave early in the day, spend all day at the golf course collecting material, write it back at my cousin’s house, and file everything with TurfNet’s Peter McCormick before the end of the day. 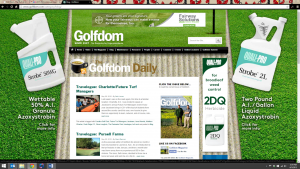 Peter would format this new material for the blog and have it ready for our visitors to TurfNet each morning. 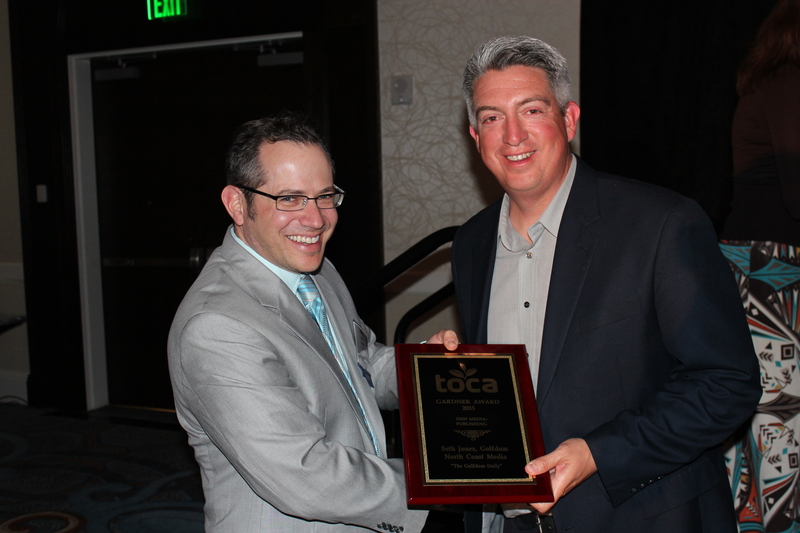 2016 TOCA Plant Health Writer of the Year John Reitman also helped with many of the volunteer interviews and strategizing on our approach to covering an event with so many different aspects. It was a true team effort – our own decathlon if you will. I did not have a confirmed interview with course superintendent Neil Cleverly before my arrival in Rio. When I met him and arranged an interview I was careful to read his previous interviews so as not to repeat anything already covered. Rather than discussing the design, environmental concerns, turf type, etc… I asked him about the emotional aspect of finally having the golf competition onsite and what that meant to him and his crew. Neil later commented to me that he very much appreciated that approach and capturing the moment as it unfolded in Rio. This was my third Olympics (Atlanta 1996 and London 2012 were the others) and it was great to see Rio in the world spotlight. My mother was born in Rio and by extension my sons and I also have Brazilian citizenship. Many of her cousins and their families reside there. It was nice to meet up with (and in some cases stay) them. It was also a family affair since my son David (studying Hospitality at Cornell University at the time) was there as a VIP host for NBC. He has been with me over the years for a variety of TurfNet projects and we were together for the first day of the men’s golf competition. The photo of the two of us at the 18th green is one I will cherish forever. I want to thank Syngenta again for the support of this Gardner Award-winning project, everyone at TurfNet for helping it come together, and all the people in Brazil and elsewhere who volunteered their time and thoughts for our content in whatever form it took. Postscript: Much has been written about the current state of many of the Olympic venues in Rio. The Olympic Golf Course is one of the only venues that is still operating on a daily basis as planned. Many aspects of life, politics, and the economy there still need to be resolved, but for three weeks in 2016 Rio showed the world the beauty and potential of one of the world’s foremost cities. 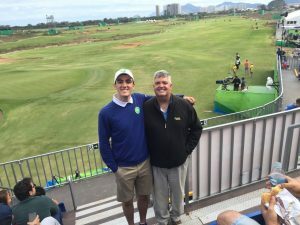 I am humbled to know that TurfNet’s coverage of golf at the Olympics played a small part in documenting this historic return of golf to the Olympic games. 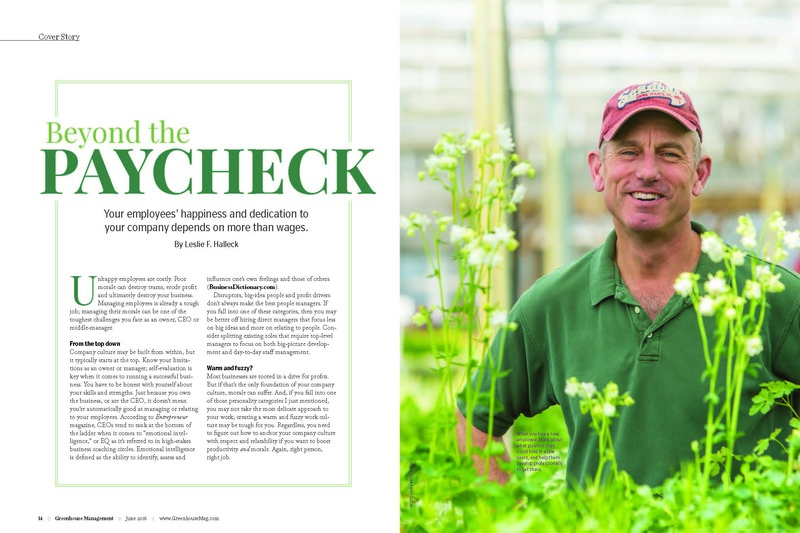 Leslie F. Halleck, of Halleck Horticultural LLC, won a Gardner Award in Writing -- Marketing Communications for her article, "Beyond the Paycheck" which appeared in Greenhouse Management magazine. 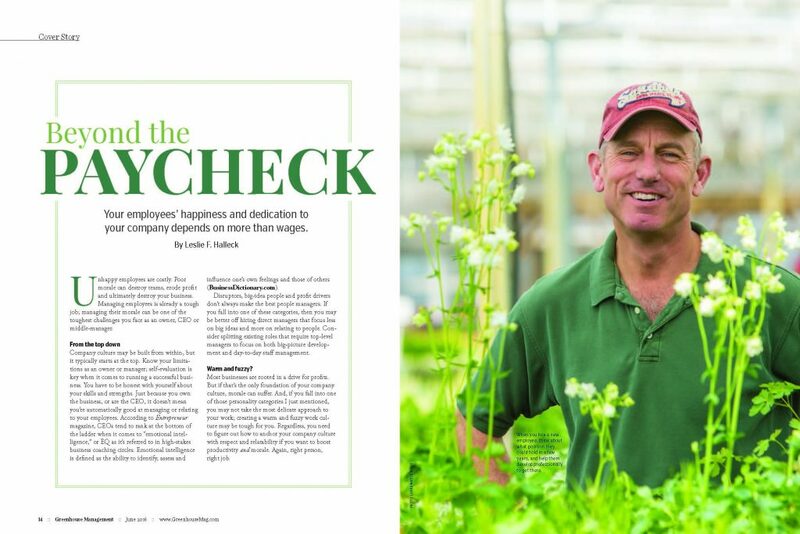 My feature article for Greenhouse Management Magazine, entitled ‘Beyond the Paycheck” outlined my personal perspectives on employee motivation and alternatives to cash compensation, as well as perspectives on employee motivation from other green industry members. The concepts in the feature translate across green industry sectors. To provide new ideas, creative solutions, and non-cash related strategies for green industry businesses that struggle to attract the right new hires and motivate existing employees. Even when writing features I tend to write in a personal column style simply because I always try to draw from my own industry experience on every topic. My own experiences (and frustrations) with staff management and compensation strategies influenced the content. I also wanted to reinforce my thoughts and recommendations with endorsements and input from others working in the industry who could both relate to current employee frustrations and had creative solutions to share for real-time relevancy. Honestly, I was completely shocked by the win. So I can’t point to anything specific I feel stood out in the piece. Rather, I think it was simply timeliness of the topic; labor and compensation are hot buttons in the industry right now and many businesses are struggling with how to manage, motivate, and compensate employees; especially younger employees. Younger employees are frustrated with compensation and growth potential and haven’t been well-educated on how to work their way up and thrive in the industry. I’ve always believed in, and employed, creative and customized approaches to management and compensation and wanted to provide these alternatives employers could use to leverage their strengths when extra cash isn’t available, or cash incentives aren’t working. EPIC Creative won a 2017 Gardner Award for its Design -- Marketing Communications project Dave Thompson's Organic Healthy Grow product catalog. 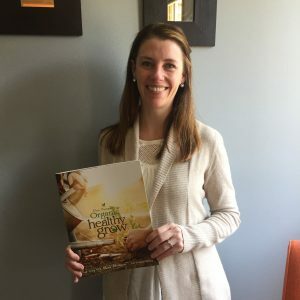 EPIC Creative designed and developed the Dave Thompson’s Organic Healthy Grow® product catalog as a sales aid for the sales team to use when presenting Healthy Grow fertilizers and soil amendments to potential retail buyers. It was about getting the product out there in stores, and an eye-catching product catalog is what we needed to help get the job done. The product catalog provides product overviews, specification and ingredients information while also incorporating beautiful imagery of the packaging and visuals that represent the lifestyle of end users: gardeners who desire to organically grow their own vegetables, herbs and flowers. In addition to providing the product information and specs that you’d expect from a product catalog, we also wanted to communicate what the brand represents and how it differentiates itself from other fertilizer products. Because Dave Thompson's Organic Healthy Grow fertilizers go through a unique aerobic composting process, which is one of the steps of Pearl Valley Farms’ full-circle sustainability efforts, we felt it was important to provide buyers, customers and prospective buyers the background story about how it all started. Basically, we illustrated how the product is made and why “The Way It's Made Matters™", the brand tagline. There are a lot of fertilizer brands out on the market, many of which are similar products. It can be confusing for buyers to know what’s different or sets them apart. Not only do you need to offer a full line that satisfies the needs of the consumer and have a package design that stands out on the shelf at retail, it’s important that you have a brand that resonates with the buyer and the consumer and differentiators that are important to our target audience. Along with providing the essential product information and specs, we also included the brand’s story, values and “The Way It’s Made Matters” story to help buyers get to know what the brand stands for, which in turn helps the retailers sell the brand to their customers. One thing we feel made the product catalog stand out is that it’s more than just a product catalog. It’s a piece that tells the story of what the Healthy Grow brand stands for both visually and with the written word. It defines all that goes into making the products and how that benefits the environment, the soil, the plants and vegetables, and gardeners who use the products. We wanted to evolve the standard print media kit beyond a flat PDF and make it a fully- interactive guide. Easily navigated, these media kit sites also act as Sales Presentations in a Pocket, as reps can instantly display a native email program in a pitch, or click-and-share pages and PDF links via email or text from a trade show floor. To the media buyer surfing the site, it provides quick specs and other pertinent information. What were your main objectives in developing this project? We wanted to improve how digital opportunities are presented to our advertising partners. The ubiquitous one-sheet is a staple of selling, but fails miserably when marketing the digital advertising options of media today. Standing out in the field. Were growing rapidly and introducing many new products and opportunities for our audiences and advertisers. With all of these features, we wanted to keep the selling process simple and fresh for the many customized and creative client requests. Our media industry is ever-changing with dynamic content delivery and (seemingly) daily digital innovations. However, industry standards for media kits and sales tools have lagged in keeping pace. The Grand View Media marketing team took the printed media kit and shook it up  for a fully interactive, customer-focused experience. Please briefly describe your winning project/What were your main objectives in developing this project? The Landscape Management social media strategy is to drive readers to our website and express our brand's personality (energizing, down-to-earth and hands-on). We accomplished both in 2015 and attribute growth in key web metrics to our efforts on social media. These included a 20.3% increase in total page views in 2015 over 2014 and a two-year change of 96.1%. After creating our strategy, we knew it would come down to execution. It's easy to put plans in place and let them fall by the wayside while we focus on our traditional "day jobs" (putting out a monthly print magazine, posting news to the website daily and producing a weekly newsletter, among other things). By making a plan and splitting up the duties among staff members, it made the daunting task of keeping up with multiple social channels more doable. The real credit goes to our Associate Editor Dillon Stewart and Digital Content Producer Allison Barwacz (now Kelly Limpert) for handling the bulk of this work day in and day out. As social media is ever-changing, we strive to stick to our strategy but tweak our approach as we go. We look at what leading news outlets do and also at what seems to be getting results for us, as measured by engagement on various channels. Our resultsspecifically, nearly doubling our page views from 2013-2015. Our organic follower growth on Facebook (16%), Twitter (27%), LinkedIn (36%) and Instagram (258%) from 2015-2016 validated our approach, as did the recognition we received from organizations outside the green industry. We also earned a Silver Regional Award in the 2016 ASBPE (American Society of Business Press Editors) Awards of Excellence and an Honorable Mention in the B-to-B Overall Use of Social Media category in the national Folio: Eddie Awards. Some of the North Coast Media team at the 2016 TOCA awards dinner in Omaha (from left): Grant Gannon, Bill Roddy, Marisa Palmieri, Craig MacGregor and Jake Goodman. Joseph Rogge, CCO at EPIC Creative, answered a few questions about EPIC Creatives Gardner Award for Design - Marketing Communications for Safer Hydro Print Ad. 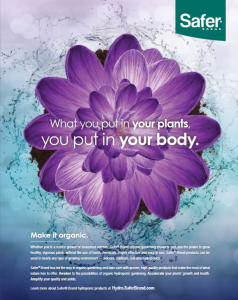 The project was advertising creative that introduced the Safer Brand's positioning and brand voice to the Hydroponic growers market. 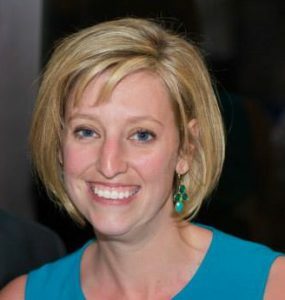 This creative drove the overall campaign's tactical executions including regional media placements, point-of-sale displays, and direct mail activities. Our goal was to position Safer Brand's nutrient product line as the safest, most plant beneficial organic nutrients available in the organic hydroponic space. The headline "What you put in your plants, you put in your body" communicates the message that using naturally sourced and processed organic materials results in healthier plants and more bountiful harvests, without the potentially dangerous chemicals found in tradition fertilizers. In researching the competitive landscape in the hydroponic market, we learned that the safety message would be unique. As the hydroponic space has grown, and larger more mainstream brands like Scotts are entering the market, we saw that organics had gained market share but efficacy and safety were topics we could use to position Safer Brand. We felt that presenting beautiful "results" in a highly stylized hydro environment would illustrate the message that Safer Brand's nutrients will help the grower be successful. The headline was intended to own safety, confidently. The fact that safe is in the brands name helps us knit the messaging and visuals together nicely. The beautiful, symmetrical plant image, supported by the stylized treatment of water and soil, with a powerful color palette is confident and engaging. Certainly, the narrative is important, but the power of this creative is that the dynamic, bold presentation of growing "results" and the visual connection to the Safer products tells the story visually, compelling the audience to want more. Brian Horn, managing editor at Lawn & Landscape, won a 2016 Gardner Writing Award for his story "A Place to Breathe." 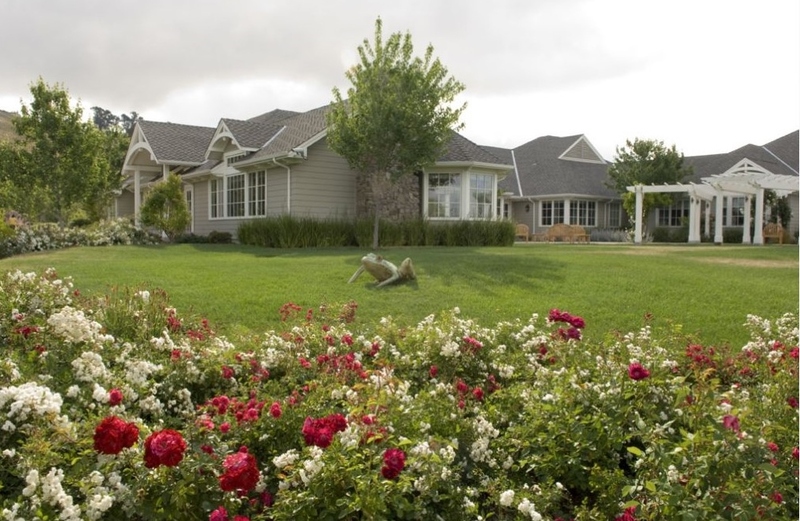 George Mark Childrens House in San Leandro, CA, is the first hospice for kids in the United States. Every child has what would be considered a life-limiting illness, some terminal. After hearing the non-profit would close due to lack of funds, the owner of Serpico Landscaping offered to have her company take care of the landscaping free of charge. 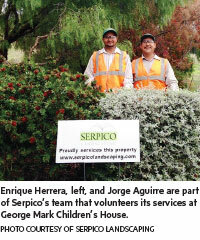 The story focuses on how the landscaping helps calm the families staying there and how much Serpico employees take pride in caring for the grounds. I wanted to get the landscaping companys perspective on what its like working at a location where grieving families use the gardens on the grounds to gather themselves. I also wanted to drive home how important the landscaping on the grounds was as part of the healing process for families going through a difficult time. I wish I could have spoken with a family who had a family member at GMCH, but that wasnt possible. I didnt want to focus too much on the sick child angle, but it was hard to ignore. So I just let the people involved tell their story. The head of GMCH was very appreciative of the work, and Serpicos owner was genuine about why they are involved, so it was pretty easy to get a feel for their enthusiasm. Sick children is a depressing topic, but the slight relief that landscaping provided families gave the story an uplifting feel. The quotes were good and illustrated the emotions everyone had around the project. I also interviewed a crew member who said they were once asked not to work in an area. When he looked over a few minutes later, he saw a family grieving. Someone from the family came over and relayed how appreciative they were that the crew didnt work in the area. 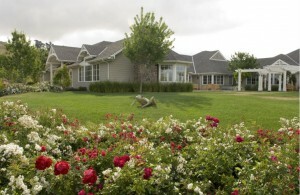 The family member also complimented the landscape and how the family used the gardens for reflection. I thought that really brought the story together. Stacie Zinn Roberts, of Whats Your Avocado? 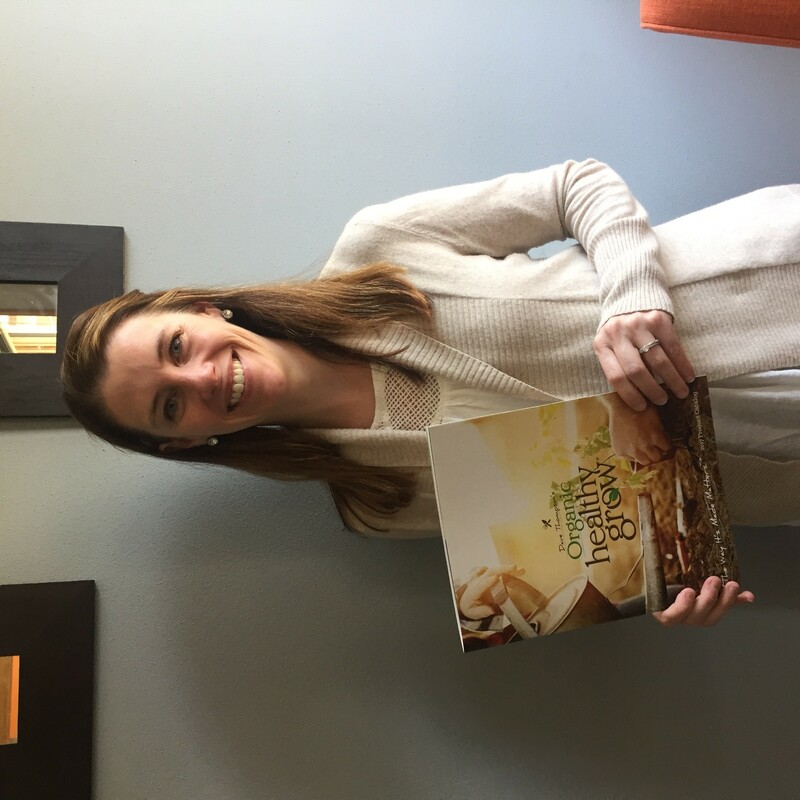 Marketing & Public Relations, won a 2016 Gardner Award  Special Projects for her "Zoysia as a Game Changer Tour." See what influenced her approach. 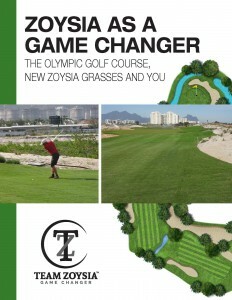 The Zoysia as a Game Changer Tour was one of the premier events held during the GCSAAs 2015 Golf Industry Show in San Antonio. Sponsored and presented by our client, Team Zoysia, more than 250 people from more than 20 states and 20 countries attended. The event was held the Monday of the conference. In the morning, buses brought attendees to Bladerunner Farms, the world's largest independent zoysiagrass breeding facility. Attendees rotated through a half-dozen stations where they heard presentations from and asked questions of some of the world's leading researchers on zoysiagrass for golf. In the afternoon, the buses took the group to the Golf Club of Texas where attendees toured the nation's first 100% zoysiagrass golf course to see the grass first-hand in a golf setting. Inside the clubhouse, there were multiple presentations from golf architects and superintendents. We wanted to present concrete reasons why zoysia is changing the game of golf, emphasizing the sustainability and playability of the grass. We worked alongside the GCSAA staff to coordinate the event and make it a legitimate part of the educational offerings at GIS. 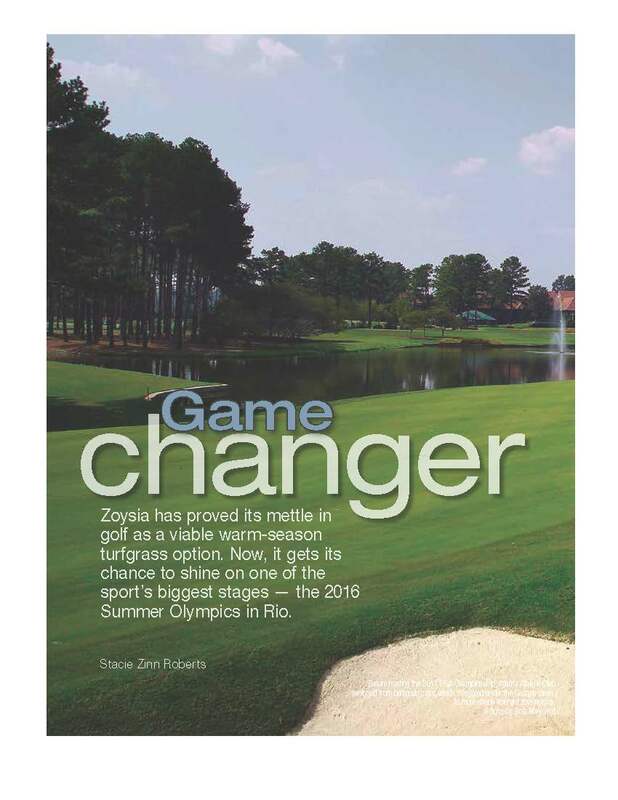 We also wanted to highlight how the biggest projects in golf  the Olympic Golf Course built for the Games in Rio, Tiger Woods first U.S. golf course, and the new home of the AT&T Byron Nelson tournament  added credibility to our claim of zoysias burgeoning importance to the game. Our approach was strongly influenced by the GCSAAs need for the event to be non-commercial, yet tell our clients story. This balance is what shaped how we created messaging and content, selected speakers who presented, even how we structured the scheduling of the day, to create an event of value. I think the overall scope of the event was what made the entry stand out. The first stage of promoting the event came in the January issue of Golf Course Management, where we authored a major feature story on zoysia grass in golf, and invited readers to attend the event in San Antonio the following month. We wrote a press release that went out to all industry media that resulted in coverage beforehand in all of the major industry trades, plus we had coverage the day-of and following from a half-dozen media who attended the event based on our invitation. GCSAA-TV covered the event. They created a 5-minute video that streamed online during GIS and that still lives on their website. In addition, Team Zoysia's three core founding members were also interviewed live on GCSAA-TV's stage during the show. The Zoysia as a Game Changer Tour was so overwhelmingly successful that the GCSAA asked us if we would repeat the process again in 2018 when GIS returns to San Antonio. The TOCA Professional Development Committee continues to feature Gardner Award winners in each issue of TOCA Talk. 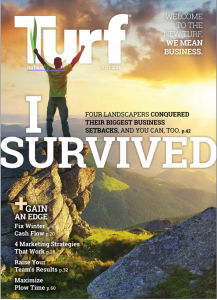 In this issue, new member Dawn Rigby, of Advanced Turf Solutions, spoke to William Brown, Chief Executive Officer at Turf Republic and managing partner at TR Digital Media, about his work on the 2016 Gardner Award winning project for New Media  Marketing Communications. TR Digital Media built the Ohio Turfgrass Foundation Conference (OTF) Show app with our mobile application partner, Avodigy. Our mobile application allows your event to become a digital experience, whether it is a turfgrass conference, small seminar or turfgrass field day. 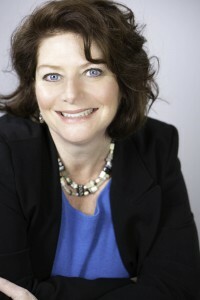 The OTF is organized and run by Propel Solutions and Brian Laurent. They utilize the full functionality of our mobile event app platform, which brings value to exhibitors, sponsors and attendees of the OTF Show. What were your main objectives for the app? Our objectives were pretty simple: Provide powerful engagement features for exhibitors and sponsors to interact with attendees through appointment scheduling, social media, and messaging. Additionally, companies have new ways to promote their businesses through the app with video and digital document sharing. We also wanted more than a digital schedule. Attendees can track conference expenses and submit an expense report right from the device. They can interact with other attendees through the apps messaging system. Additionally, they can find and interact with local business and travel including hotels and airlines. Event organizers, like Brian and Propel Solutions, can build surveys and polls to gather conference and market intelligence. Communication to speakers, attendees and exhibitors is simple when it can be done right from a mobile device. In addition, the mobile app gives speakers the opportunity to share their presentations within the app, as well as share supplemental information, contact information, and social media information. Presenters can also upload supplemental videos that they have posted on YouTube or Vimeo. What was your strategy and what influenced your approach? We knew the app had to be simple and intuitive. Whether the users are attendees, exhibitors, or event organizers, they dont have time to add steps to a busy day schedule. We made the app extremely simple to fit into an event organizers conference preparation process. If folks want to use it as a digital guide, they can. If others want to it to BE their digital assistant prior to, during, and after the conference, it can be that too. Please give us a few examples of what you think stood out in your winning entry. We believe it was our projects ability to give the industry a fresh new experience for conferences and shows that stood out overall. The paradigm shift in our industry to digital solutions is occurring, and we wanted our app to lead the way when it comes to the best solution for conference and show engagements for attendees, sponsors, exhibitors, speakers and conference management. Lacy Ravencraft (Ewing Irrigation Products) recently spoke with Jon Kiger, Director of Media and Membership Sales at TurfNet magazine, about his 2015 Gardner Award. Could you please briefly describe your winning project? The winning project was TurfNet on the Global Stage: Preparing and Maintaining Pitches for the 2014 FIFA World Cup in Brazil. The two-part video series interviewed a director of the company that built nine of the twelve soccer pitches (fields) used during the World Cup. It also interviewed the primary pitch care manager of the World Cup facility in Sao Paulo. The videos helped turf managers around the world understand the challenges of constructing the pitches in Brazil and the procedures to maintain them for this event on the global stage. 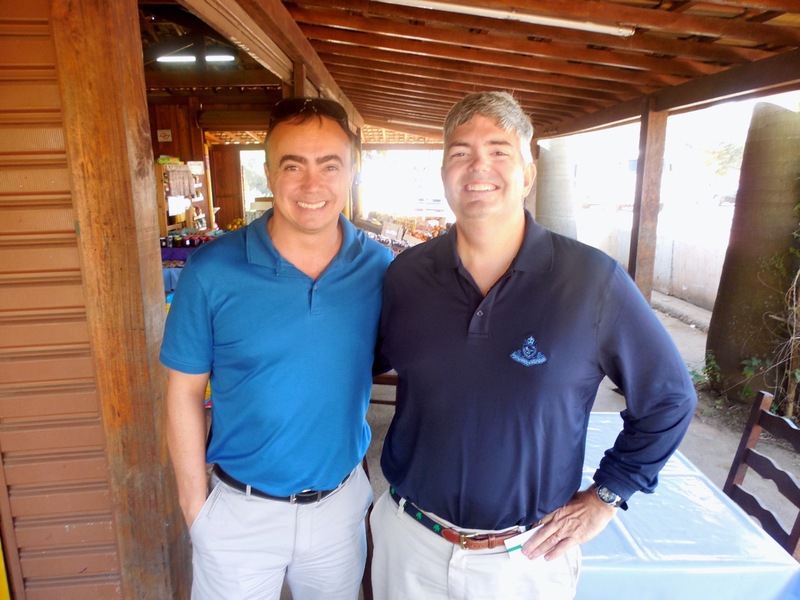 (L-R:) Jon Kiger with Roberto Gomide of World Sports Solutions International - subject of one of the Gardner Award-winning videos. What were your key objectives and strategies in approaching this work? What influenced your approach? Honestly the series came about quite by accident. 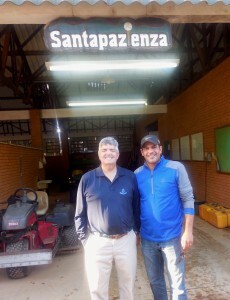 My son and I were staying in Sao Paulo during the FIFA World Cup, and took a long taxi ride to visit TurfNet member Rick Holanda at Santa Pazienza Golf Club about an hour out of town. When we arrived, we asked Rick for our best solution for getting back into the city and he mentioned that Roberto and Luis were visiting his course later that afternoon, and they could probably give us a lift. I had our TurfNet video gear with me since we were filming Rick, so when I learned that they were involved with the design, construction and maintenance of the 2014 World Cup facilities I naturally arranged to interview them about the process while we were all together. The goal of the interviews was to give professional turf managers an overview of the pitch design and maintenance for this world class event. By the time we filmed the interviews, I had been to three World Cup matches in the cities of Brasilia, Curitiba, and Rio. 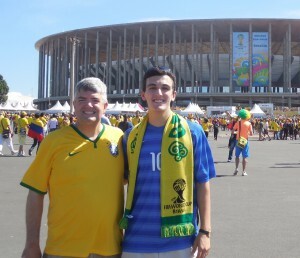 I was heading back home the next day, but my son David was staying with his cousins in Sao Paulo (my mother was born in Brazil) and attending another match in the stadium in Sao Paulo. Since the interviews were about the Sao Paulo pitch, I had him take still photos and video footage, which we incorporated into the series. He has been along for many TurfNet TV shoots, but this is the first one that he actually gathered the material that was used in the production. To be able to incorporate the once in a lifetime experience of attending World Cup matches into content for TurfNet was very special. 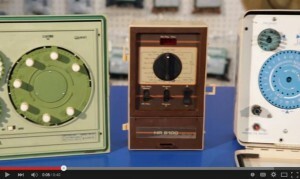 The timely nature of the videos stood out. We filmed this at the beginning of the World Cup, and had both videos completed and on TurfNet.com before the World Cup ended. Domestic videos are relatively easy to capture and produce. Being in a remote location and producing content about an event watched by millions around the world was particularly satisfying. 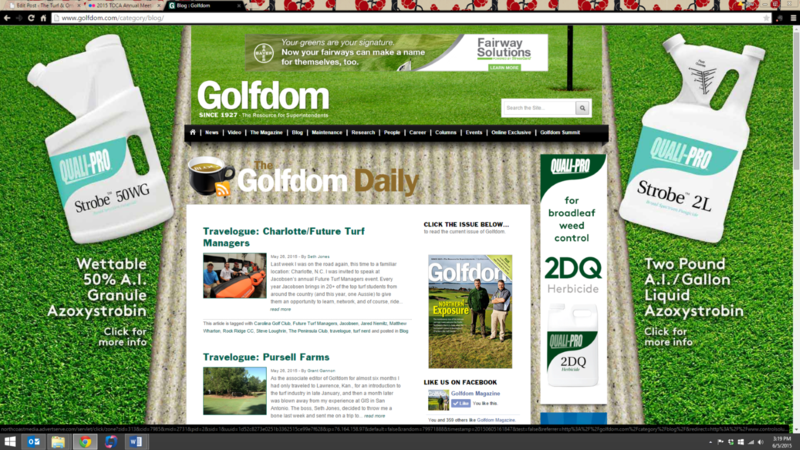 Most of our content on TurfNet is golf-related. The fact that we could create an award-winning production on the topic of sports turf demonstrates the depth of our understanding of all aspects of turf maintenance. It also shows our commitment to covering turf issues wherever and whenever they happen. This is a great example of always being on the lookout for interesting stories. We were at a golf course for a totally different purpose, yet when the opportunity to film about the World Cup pitches came about, we pounced on it. As mentioned above, my mother was born in Brazil and through that my sons and I are also Brazilian citizens. 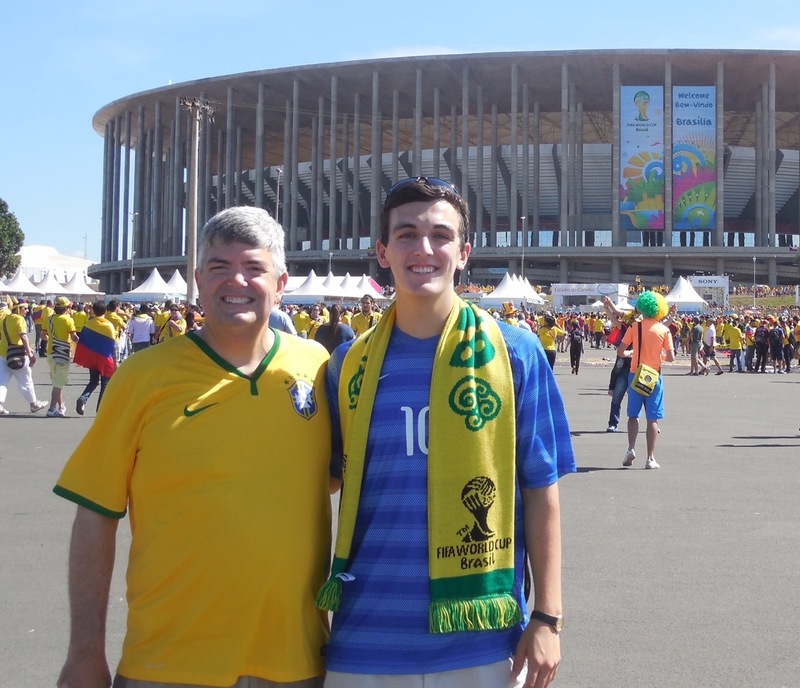 The whole trip included attending World Cup matches, visiting with relatives and seeing many sights around Brazil. To be able to share some of those experiences within the industry I serve was a real treat. Editor's Note: We asked Jose Milan, Director of Green Business Operations for Bayer, a few questions about Bayer and Global Prairie's Marketing Communications Gardner Award for Photography, Video and Multimedia for "The Historic Restoration of Pinehurst No. 2 (abridged)." Could you please tell us about your winning project? In 2011, Pinehurst Resort began a restoration project to restore the No. 2 course to its original intended design from 1948. Part of that process involved fostering the growth of indigenous native grasses, growing fewer acres of turf under intensive management, and practicing sustainable pest management techniques. Bayer helped make this possible through a collaboration with NCSU and Pinehurst. Together, we combined efforts to help Pinehurst Resort understand the diversity of native plant species and to plan an ecological approach to managing the newly reintroduced plant life. The story itself is about revivalism and ecology, but also sustainability. We debuted the project during the 2014 U.S. Open and Womens Open Championships. That year, the championships were hosted back to back. It was the first time in history that both tournaments were played in the same year on the same course. How did you come up with the idea for the historic restoration? 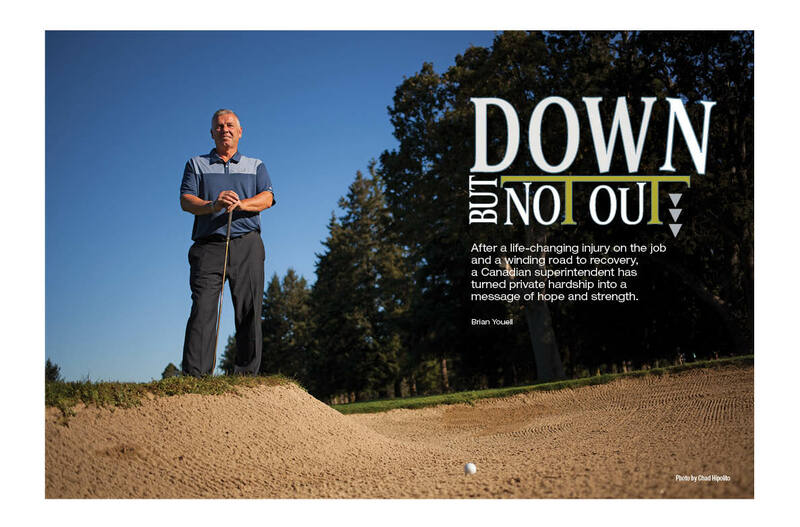 Superintendents are challenged on a daily basis to manage turf in a way that reduces playing time, protects natural resources and lowers operating costsall without sacrificing playability. For Pinehurst No. 2, the goal was not only to reclaim its historical care, but also to develop innovative and sustainable solutions to meet todays challenges. 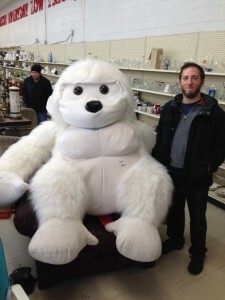 It was an effort that we were more than thrilled to support. What do you think led to your success with this project? 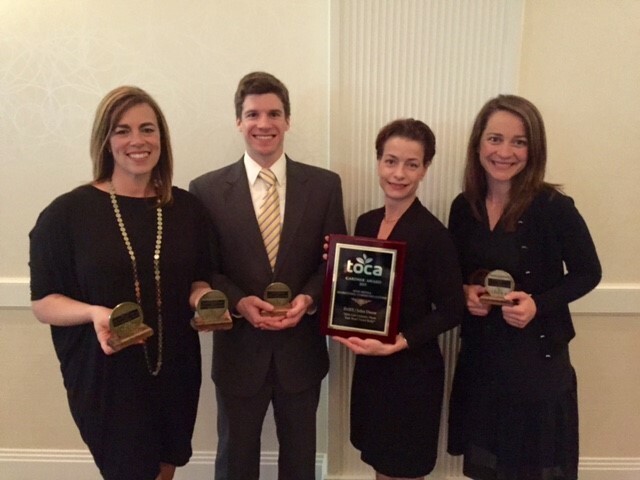 The bulk of our success stemmed from really great alignment of objectives for Bayer, NCSU and Pinehurst. Bayer and NCSU were in a strong position to be able to provide the strategic counsel that Pinehurst was searching for on agronomic, plant health and plant biodiversity issues. It was also a fitting time for the industry, with an increased focus on sustainable solutions, plant health and fostering the growth of native species. The Pinehurst project was as much about nostalgia and restoring a legendary golf course as it was about education and partnering with fantastic experts like those at NCSU. How did you measure your results? It was important to us to ensure the industry understood why this was such a special opportunity. To that end, we wanted to carefully monitor the ways the message resonated with superintendents, so we used a variety of platforms - traditional and trade media, social media, television as well as microsites and other print and digital means. 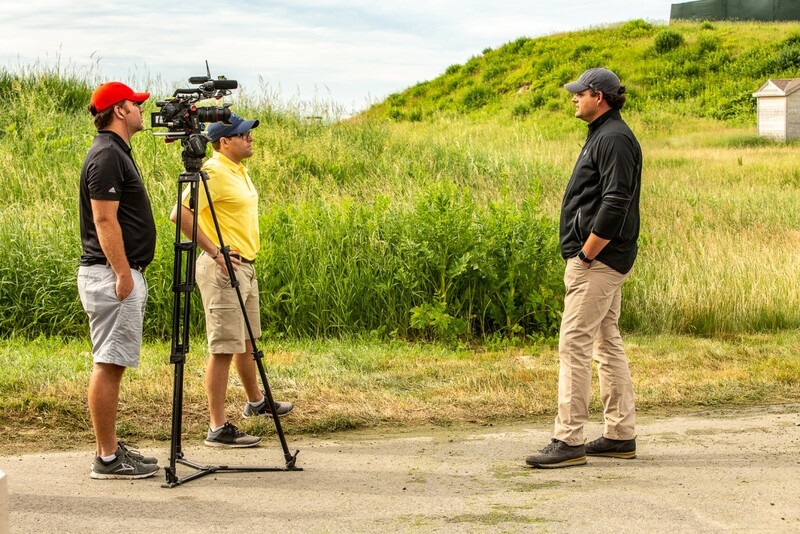 Bayer and Global Prairie collaborated to develop a robust video featuring the newly redesigned golf course as well as a series of news releases, press materials for both national and trade media coverage and social media around the restorations success. Our key metrics included coverage in high-profile trade media publications, TV coverage of various restoration videos, and engagement among our social followers. As opposed to impressions alone, our main focus was on retweets, mentions and participation in Twitter contests throughout both Opens. The goal was to encourage continuous interactions and to engage our followers throughout the championships. We also looked at earned media promotion through a Pinehurst-dedicated microsite, where we measured the number of unique visitors, the percentage of visitors who started watching the video as well as the top sources for web traffic. To help bolster visibility even further, we also implemented a paid media campaign to promote the program through advertorials and placements in U.S. Open e-newsletters by targeted industry publications, like Superintendent magazine. Any further thoughts about working on it? Bayer is fully dedicated to university academics and research as well as the support of higher education. We were honored to work with NCSU on this important and highly meaningful project and grateful for the opportunity to help support Pinehurst through a memorable and historical restoration. 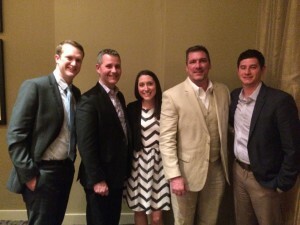 We have a Q&A with McGavock Edwards, vice president at IMRE, about the IMRE/John Deere win for New Media - Marketing Communications - "2014 Golf Industry Show Turf Bowl Tweet Rally." How would you describe your winning project? 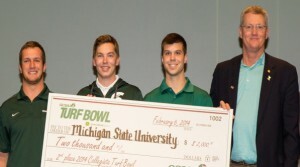 At the 2014 GCSAA Collegiate Turf Bowl, teams of students from 71 universities and colleges across the nation competed for the chance to win a cash prize for their schools turf program, and first place bragging rights. GCSAA and John Deere announced the team from University of Maryland as the 2014 winners of this challenge. John Deere and the GCSAA awarded the team the traveling trophy and $4,000 first-place prize. Leading up to GIS, a Tweet Rally was added to generate excitement and engagement around the GCSAA Collegiate Turf Bowl. Competing teams were invited to share Tweets to show support for their schools team by including the #GIS14_TurfBowl hashtag and mention of their schools name. Each tweet counted as a vote, and the team with the most votes, which was Michigan State University, was awarded a $650 check for displaying their school spirit. Participating teams shared the hashtag with their alumni and peers, and key industry influencers and members showed their support for the future superintendents by tweeting as well. The campaign saw strong viral use of Turf Bowl content with more than 1,000 unique tweets published using the #GIS14_TurfBowl hashtag. What was your strategy in developing this project? Utilize social media and school spirit to engage industry professionals, elevating awareness about the Collegiate Turf Bowl and John Deere's sponsorship of the program. The campaign created strong viral use of Turf Bowl content and fostered positive conversation and support of the Turf Bowl among student participants, media, peers and key industry influencers. It was successful enough to warrant a second Tweet Rally in 2015. What surprised you most about the outcome? We knew superintendents were increasingly using Twitter and that they are a competitive bunch, so we really werent surprised by the results of the Tweet Rally. Rather, we were pleased the program was so well received, and that the students were able to get more recognition from the industry theyre entering. What do you think helped you win this year? We believe the Turf Bowl Tweet Rally is the first of its kind for the golf industry, so its likely that originality played into its success. The Tweet Rally was thoughtfully planned and executed by an integrated team, originally built from research insights into our target audience. And, because we created goals and metrics in our planning, we were able to show measurable results at the end of the program. Seth Jones, of North Coast Media, answered a few questions about Golfdom's Gardner Award for New Media - Publishing for "The Golfdom Daily." Could you please describe your winning project? I enjoyed blogging at my previous position with Golf Course Management magazine. When I came over to Golfdom, I wanted to keep doing it. Blogging wasn't a new idea by any means, but what I tried to bring to it was a voice, a personality, that I felt was unique to the industry. That voice was conversational - a behind-the-scenes, not-quite-fit-for-print method of storytelling. It's worked for us. Besides winning a first place TOCA for the Golfdom Daily for the fourth year in a row now, we've also developed a decent readership. Among the cacophony that is the Internet and the blogosphere, I'll take that. How did you measure your results? It's easy with the blog - hits, clicks. We can easily tell what posts do well, and what posts get crickets chirping. What do you think factored into your success with this endeavor? 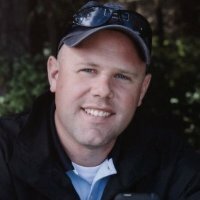 I think the voice of Golfdom's blog is unique. It's almost a family blog in the sense that we're including our readers in behind-the-scenes stuff that we don't have room for in the magazine. It might not be breaking news, heck, it might just be a beer review- but we treat the readers like friends, and I think that among friends, it's OK to just recommend a good beer from time to time. It doesn't all have to be about saving the game. Any further thoughts about working on it? I wonder if blogs are jumping the shark, in a sense - do readers still find blogs worthy, or have they moved on to Instagram, or something else I don't even understand? I can't answer that question, but if the readers keep coming, we'll keep blogging to the best of our abilities. I don't mind saying that I enjoy looking at our own blog, going back and seeing where we visited, stories we told - stories that are still fun and interesting, just not quite good enough to make the magazine. In some sense, those stories are my favorites. 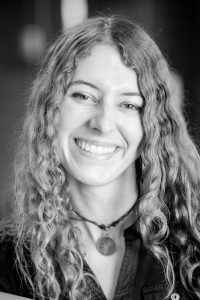 We sat down with Laura Ory, one of this year's 2015 Gardner Award winners, for some insight on what went into a successful campaign. Laura Ory serves as social media & digital strategist for Ewing Irrigation & Landscape Supply. Gardner Award Winner: Laura Ory, Social Media & Digital Strategist for Ewing Irrigation & Landscape Supply. 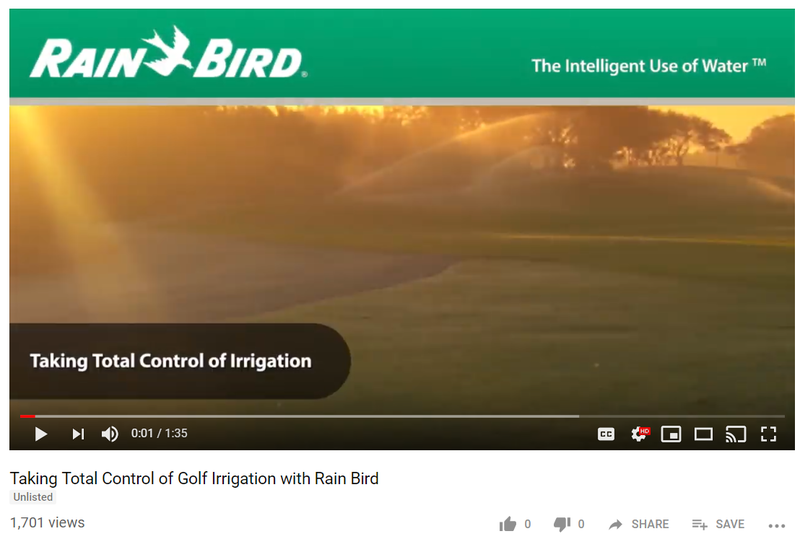 This writing project was a series of six weekly emails and four new video scripts for our Smart Irrigation Month campaign in June and July of 2014. Our key objectives were to promote the products in our Smart Irrigation Month specials, and to give our contractor customers simple and memorable explanations of how they save water, since many of these products are still new to them. We also wanted to promote our sales tools to help them convince clients to installing these products. 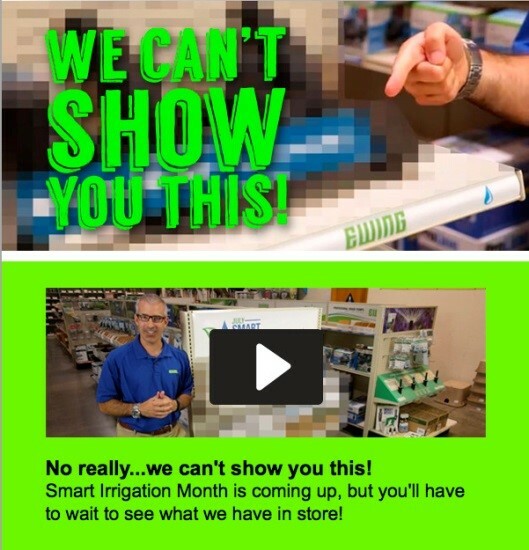 The teaser video and email was sent out a few weeks before July to generate interest in the specials and to allow them time to use our free smart irrigation sales tools to entice their clients. Our intro video and email revealed our specials, and how they were a smart way to save money and water. For the final four weeks, our emails and videos focused more in-depth on the product types each week: smart controllers, sensors, water-efficient sprinklers, and drip irrigation and AquaSmart PRO. The emails paragraphs were kept short for easy skimming, but links to the corresponding videos were provided at the top for customers more interested in watching a video. We happened to have some old-school irrigation controllers in the office some of us were marveling at nearby when we were working on video concepts, and it inspired us to include them in a video. They were great to contrast with the smart irrigation technology that's available today and hopefully helped some customers realize that it's time to upgrade! The "We can't show you this!" email and video that kicked off the series was a lot of fun. 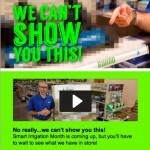 We teased the customers with pixilated products before revealing the smart irrigation specials in the next video. I think Warren made it pretty amusing on camera. It's tough to make a really funny video, but I think it made people at least smile a bit. A smart controller isn't just a timer or clock, it's the brain for your irrigation system that helps save water: about 30 percent compared to traditional controllers. 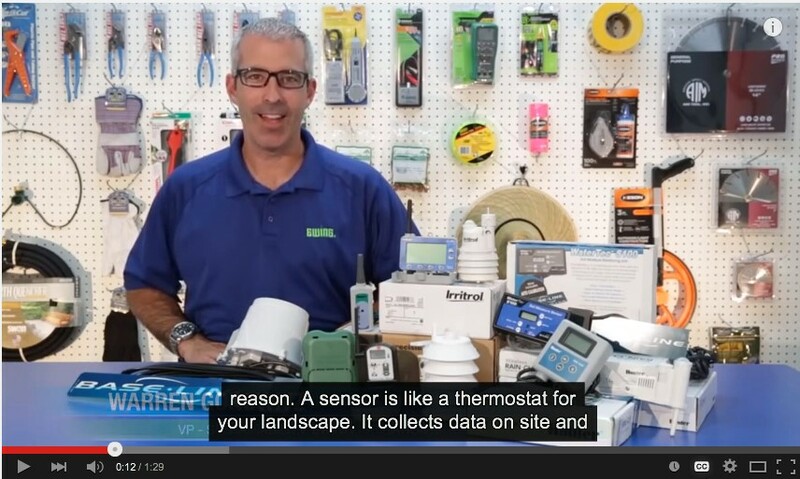 A sensor is like a thermostat for your landscape, it collects data on site and tells your irrigation controller whether irrigation is needed. Sensors accurately and automatically adjust your irrigation schedule to save water, and can reduce water use by 10 to 60 percent. Debbie Clayton (ClaytonHimes PR) recently spoke with Kyle Brown, associate editor at Golf Course Industry magazine, about his 2014 Gardner Award for his podcast "Dog's Best Friend." Could you briefly describe your winning project? Kyle: "Dog's Best Friend" is a feature podcast I did with golf course superintendent Bob Kohlstedt at Fox Bend Golf Course. I edited my interview with Kohlstedt and did my own voiceover work to lay out the story in a way that felt like a feature story should, to me. What was your strategy in developing this podcast? Kyle: It wasn't as much a strategy as knowing when I came across his story that I needed to highlight his experience. Kohlstedt risked his life to save his dog in a flood, and when I talked with him, I knew his story was one that would resonate with our readers and, really, anyone who loves dogs. I wanted to let Kohlstedt tell his own story as much as possible, but I knew that it could be presented in a way that makes it come to life and brings the listener right into the moment. Did the content come from your personal experience? Kyle: Only as much as what I got from our interview. I grew up with several animals, so I know what it's like to be passionate about a pet - I'm not certain I'd dive into a flood to save any of them, though. One aspect I really wanted to bring to this story was a strong narrative, but presented in an interesting way. I listen to a lot of podcasts, and I definitely follow a few that I think know how to show off the best parts of a story, and I tried to draw on what brings me to those podcasts. Kyle: I'd like to say I think it was a polished story with top-notch presentation and reporting, with an eye to the production of the feature podcast. But it was probably also because Kohlstedt's story is incredibly heartwarming. The golf industry loves its dogs. 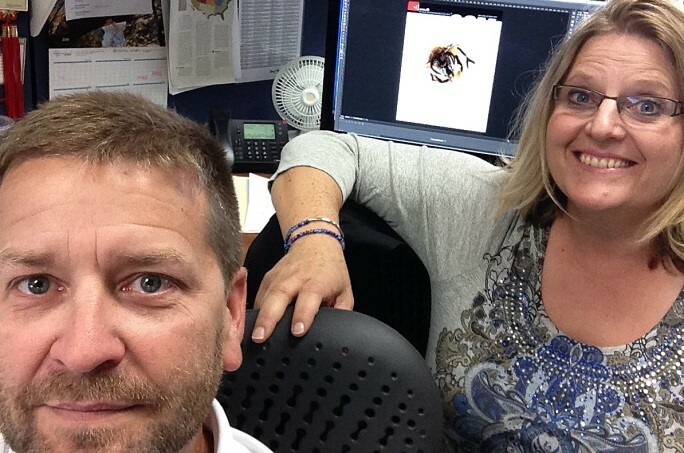 Kyle Brown (of GIE Publishing) interviewed Roger Billings and Kelly Nies, of Golf Course Management, about their 2014 Gardner Award for "Printed magazine - Overall Magazine Design" for the April 2013 issue on "What's the Buzz About?" OH, you mean our "bee" issue? 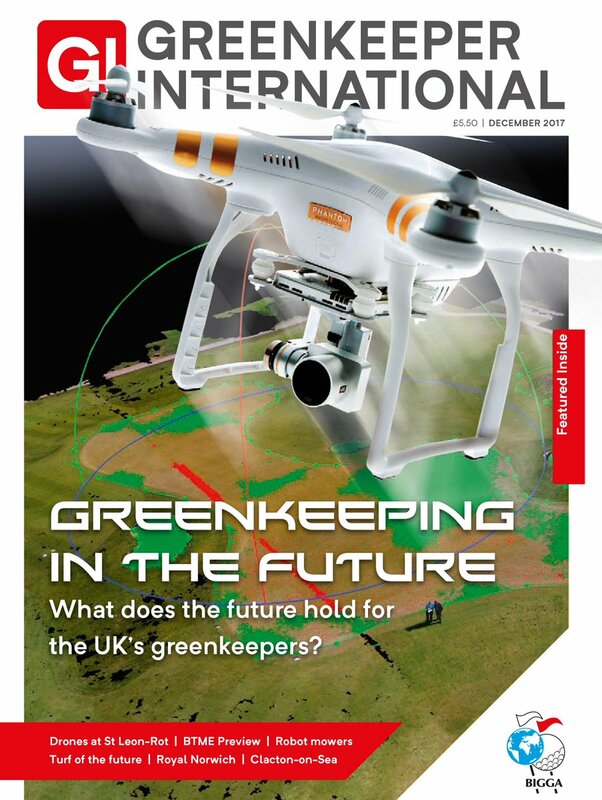 Yeah, because golf courses are becoming an unexpected ally in the effort to boost dwindling bee populations, our April issue of GCM was dedicated the research about - you got it! - Bees! From a design perspective, we just created some "buzz!" It took an entire colony to build this one! Brainstorming with editorial and reading through university research (at least looking through the pictures) we approached the design with a clean and organized style. The fact that it was consistent in quality and the subject matter was interesting so we enjoyed doing our best work. It's like it was swarming with great image and editorial!